Vladimir Lenin. In August of 1918 the second attempt on Lenin’s life took place, in which he was wounded in the arm and the neck. Someone from the SR party named Kaplan made the shots. That was the only version. But over time it became clear, that Kaplan was not guilty and the SR party members had nothing to do with it ! Who killed the leader of the world proletariat and who had a benefit from his death? 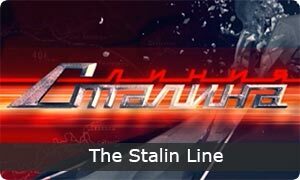 We present documentary dramas, based on the investigations of the world history of attempts on people’s lives. 4 x 52 min. In development, looking for coproduction and distribution. During the Second World War the USA and Russia (the USSR) fought as allies for a year. But that is not all. The USA contributed to the victory over Germany much more than we are used to thinking. From 1941 the lend-lease aid law was in power in the USA. The USSR was receiving material help on a pro-bono basis. 20 x 52 min. In production / In development, looking for coproduction and distribution.